How many books are considered so significant that they are translated and published in English more than 50 years after its first German edition. I’m referring to Wilhelm Bousset’s Kyrios Christos: A History of Belief in Christ from the Beginnings of Christianity to Irenaeus (first German edition 1913; English translation 1970). Bousset was one of the founding fathers of the religionsgeschichtliche Schule (the history-of-religions school) in the German academy. Like other scholars in the Schule, Bousset studied religion as a phenomenon of history. He applied to Christian origins the same kinds of criteria historians apply to the rise of any movement in history. Bousset argued that the cult of Christ, that is, the worship of Jesus and calling him “Lord” occurred only when Christianity had moved away from its Jewish roots and had been exposed to “pagan” religions. Under these influences early Christ-followers began to think of Jesus as one would think of a god. So they prayed to him, sang hymns to him, gathered in his name for sacred meals, etc. For Bousset the adoration offered to Jesus by his followers was an unfortunate development in Christian history. Almost immediately, Bousset’s conclusions were called into question by the likes of J. Gresham Machen and A. E. W. Rawlinson. But what scholars found difficult to challenge were Bousset’s methods; they were sound. 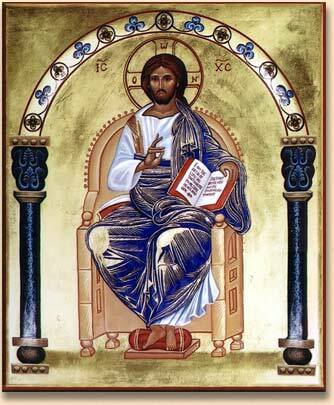 Christianity was a phenomenon of history and so its origin could be understood in historical terms. Yet in the second half of the 20th century scholars began looking closer to home, in Judaism, for the historical antecedents for Christianity. The discovery of the Dead Sea Scrolls and many other texts from the second temple period have given scholars a great deal more information than Bousset had about the period when the Jesus movement was just beginning. Today there is a new history-of-religions school according to the late Professor Dr. Martin Hengel. This Schule tries to understand Christian origins as a phenomenon of history but concludes that the central features of Christianity developed from within Judaism not paganism. (5) Has subsequent research (DSS, pseudepigrapha, archaeology, etc.) proved or disproved any of Bousset’s ideas? Dr. Jeff Peterson of Austin Graduate School of Theology has agreed for his program unit (Extent of Theological Diversity in Early Christianity) to host the session. Either Paula Fredriksen or I will moderate the session.